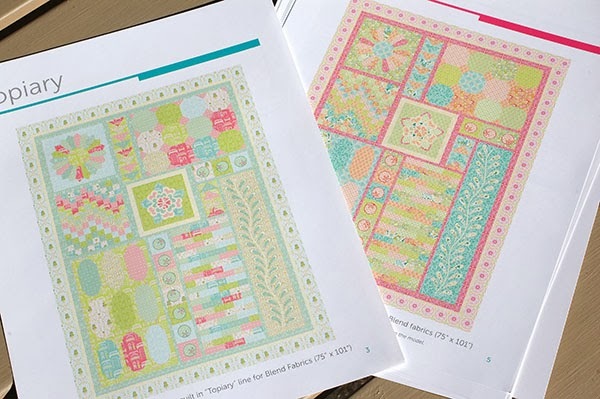 Home / Uncategorized / My Block of the Month Under the Veranda and Diamond Runner patterns are here! 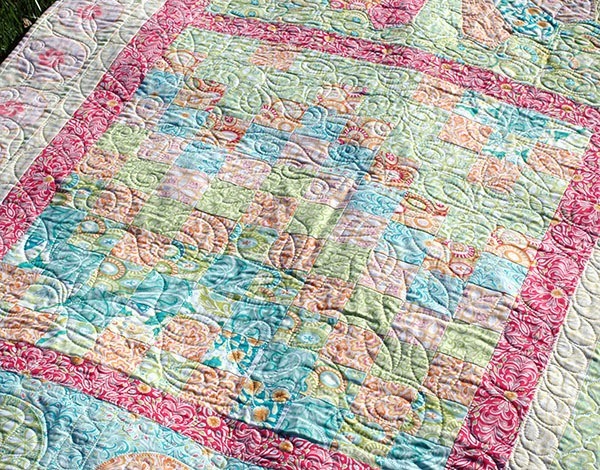 My Block of the Month Under the Veranda and Diamond Runner patterns are here! And they are look great. 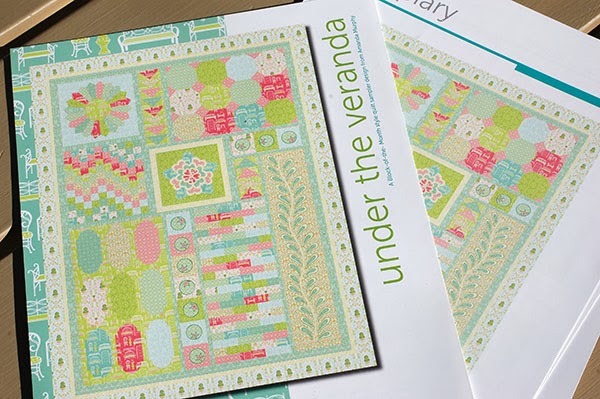 Under the Veranda is 22 pages – full-color through and through. It took me awhile to figure out how to print this one affordably for you all… but it turned out beautifully I think. 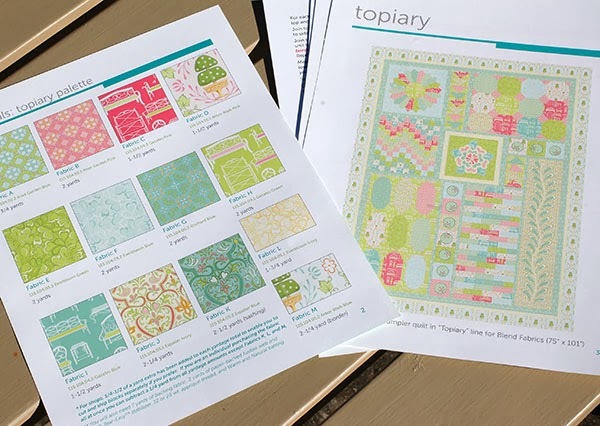 The cover is shown in my Topiary collection, which ships from Blend Fabrics in January. are included in the directions or you can make up your own. 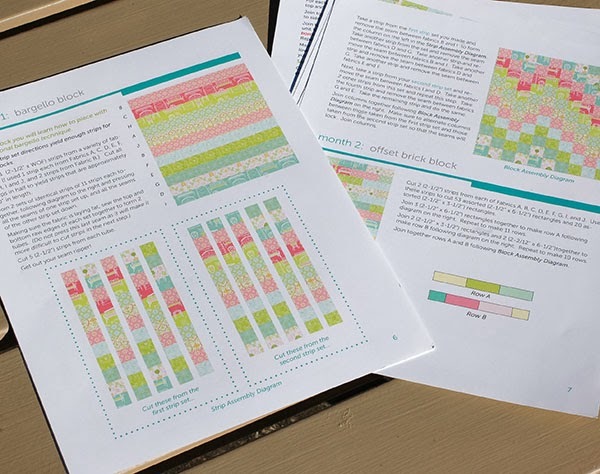 With full color fabric diagrams, it is easy! 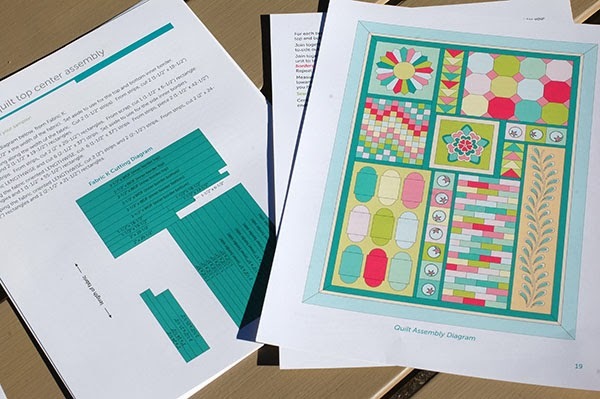 And all the blocks have clear, full-color diagrams too! The final section explains how to piece the blocks together. 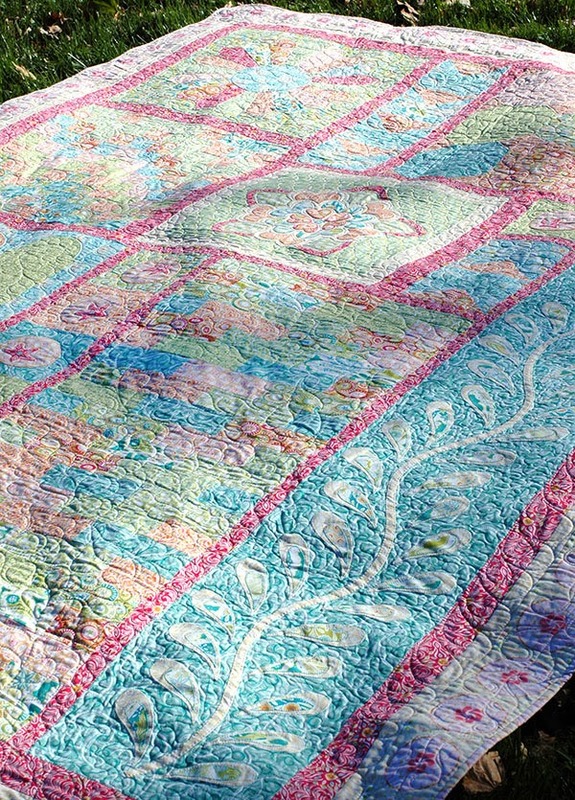 But wait… I forgot to show you pictures of the actual quilt. It has a little bit of a lot of different techniques. 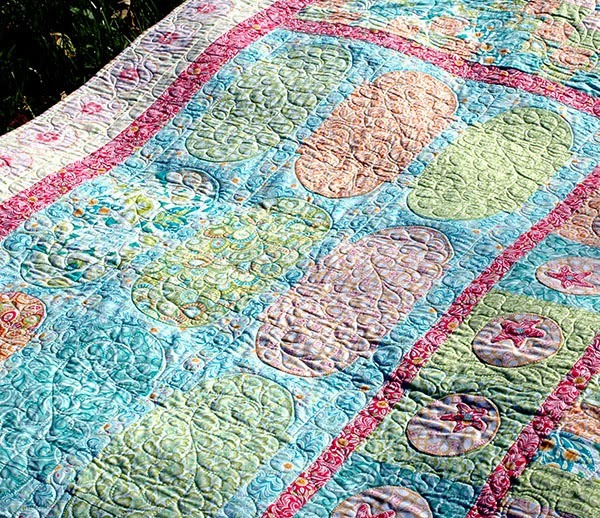 I sewed it up in Bella because Topiary wasn’t read in time for Market. 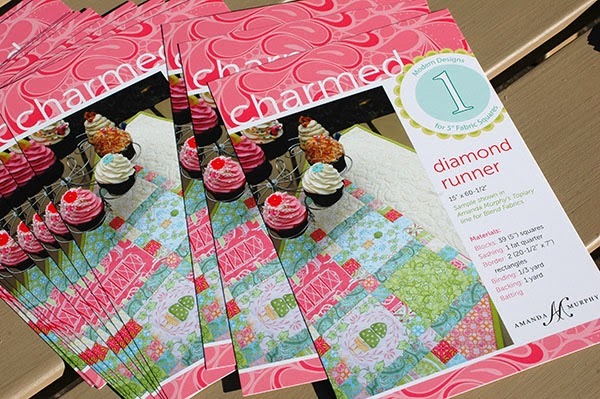 Also in is my little charm-square friendly pattern, Diamond Runner! It is printed on sturdy, glossycard stock. I really hope you all like both Under the Veranda and Diamond Runner. They are over in my shop! For those shops that ordered at Market, the orders are on their way. For toerh shops that are interested, please contact me. 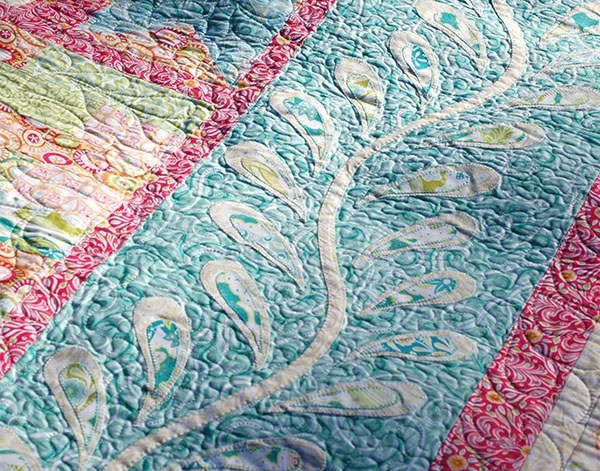 Both patterns also being carried by major distributors, so have your favorite shop ask for them! 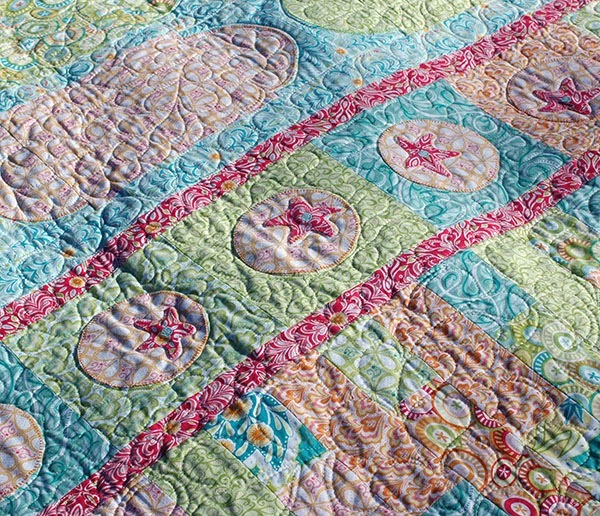 Thanks for letting me share and happy sewing! 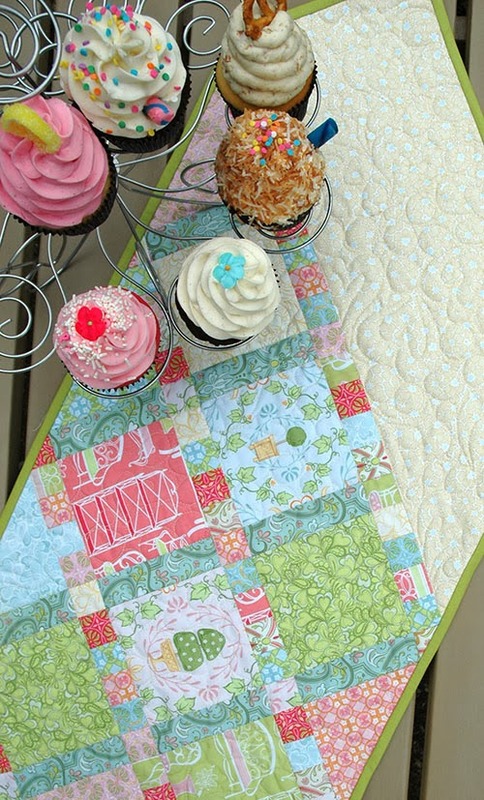 Previous post: Elegant Machine Embroidered Bags – my new Craftsy class! 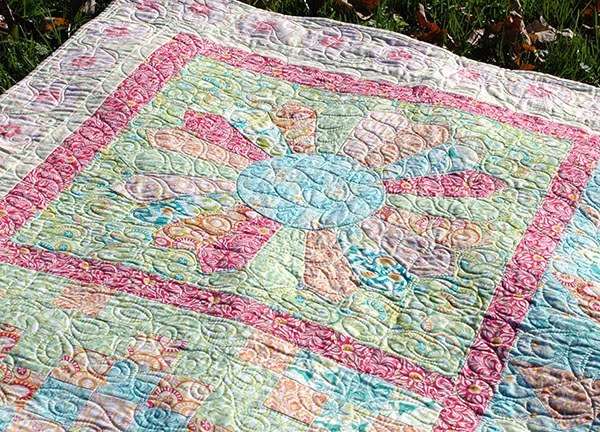 Next post: Holiday Bouquet Quilts popping up! Those look amazing. I love Under the Veranda. I am sure it looks more difficult than it really is. 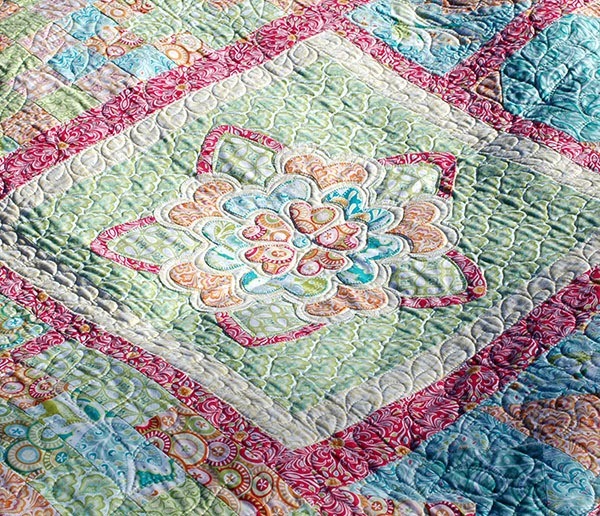 There are a lot of techniques included in the pattern, but none are difficult. It is a little bit of everything – a good learning piece!